Earlier this week, the Smithsonian Magazine's American Ingenuity Awards took place at the Smithsonian's National Portrait Gallery in DC. The gala honored a variety of influencers and trailblazers in numerous fields including arts, social progress, activism, and sciences. Some of the night's honorees included a wife and husband medical duo who developed a method to combat heritable blindness through gene therapy, a NASA scientist responsible for sending a space probe to Jupiter, and the United States Poet Laureate. Trailblazing Musician Janelle Monae was honored for ingenuity in the performing arts. Much to Monae's surprise, the award was presented to her by none other than 25 time Grammy award winner Stevie Wonder. Wonder brought the audience to its feet as he celebrated Monae's audio and visual composition Dirty Computer with a poignant speech in which he serenaded Monae with a rendition of "Isn't She Lovely." 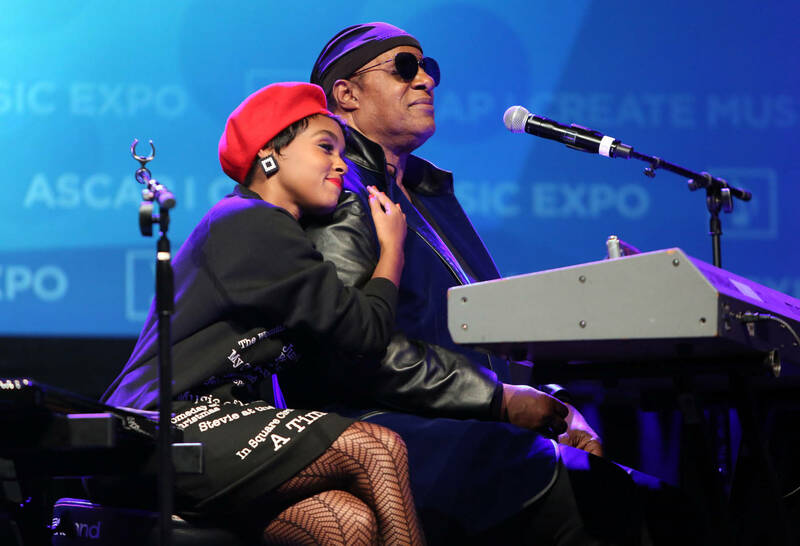 A visibly grateful Monae accepted the award from Stevie telling the icon that his music would, "heal me during some of my darkest times." She went on to share a touching anecdote with the Wonder admitting that when she was 12, she wrote a full-length play inspired by Stevie's album The Secret Life of Plants. "What can I say? I was obsessed with photosynthesis!" Later in the evening, Monae told The Hollywood Reporter that she hopes Dirty Computer will "continue to walk more in their truths despite what society or media says about them, despite what the abusers of power say about them. That they just embrace the things that make them unique, even if it makes others uncomfortable. I hope they feel proud, I hope they feel celebrated, I hope they feel heard and seen."